Who’d a thought? 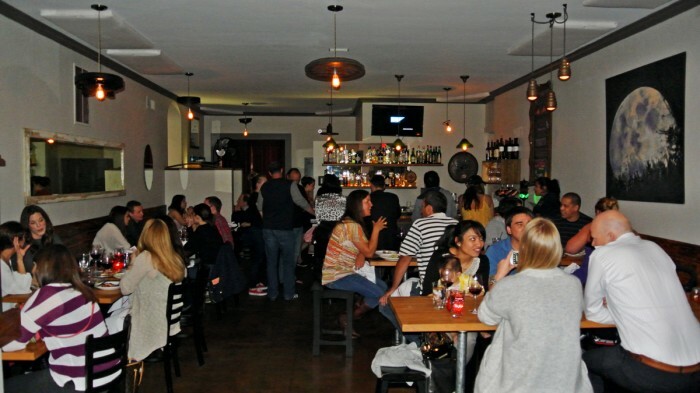 A slice of Brooklyn right in the heart of Los Gatos, California. 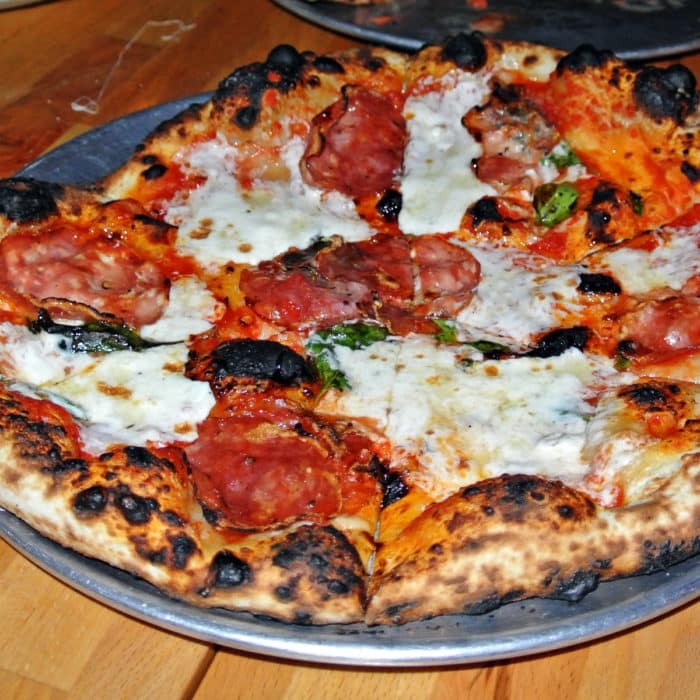 I’m not sure how it happened, but an alumni chef from the famed Roberta’s in Brooklyn relocated out to Silicon Valley and is making pizzas and pastas that live up to the Roberta’s name. 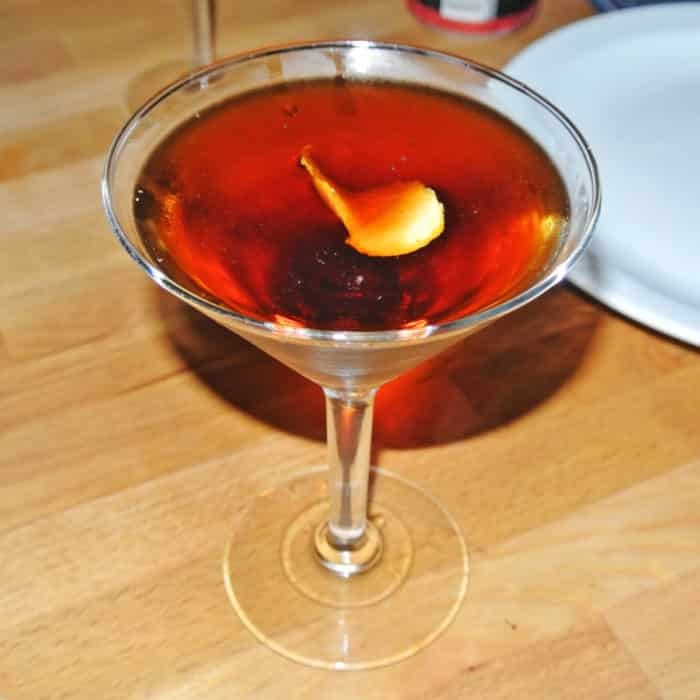 Since we were living in Los Gatos for the week and were feeling in a celebratory mood, we headed over to Oak & Rye and immediately ordered a round of shots to kick off the night before we were even seated. 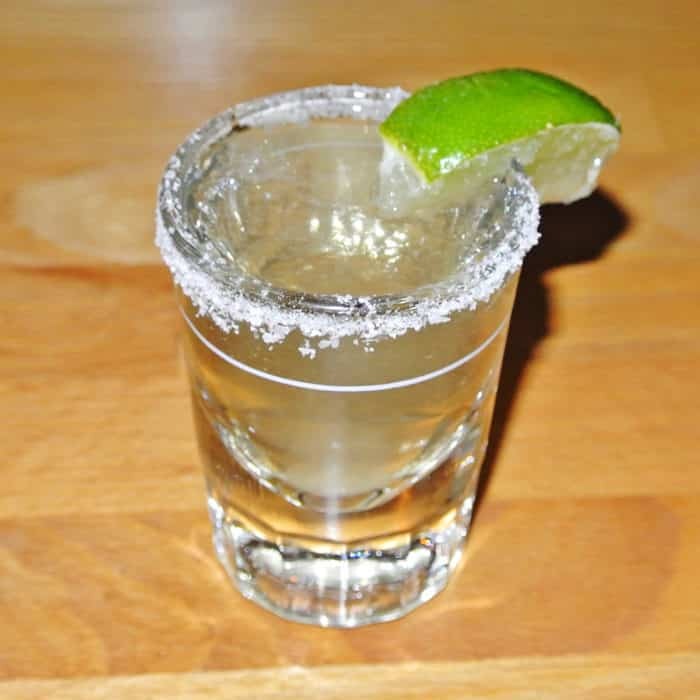 This was just the first of many rounds of excellent tequila shots to be consumed throughout the night. Truth be told, I think I ended up doing six rounds of shots plus cocktails and wine that night. Despite the amount of liquor consumed that evening, I think I can fairly judge the place. Everything about the look and feel of the restaurant brought us transplanted New Yorkers right back home with its casual, comfortable, high-end hipster vibe. I view it as a kind of New Yorky sanctuary for the Silicon Valley business traveler spending weeknights in Los Gatos. Like I was saying, along with the many tequila shots, we took the opportunity to have some really well made cocktails. 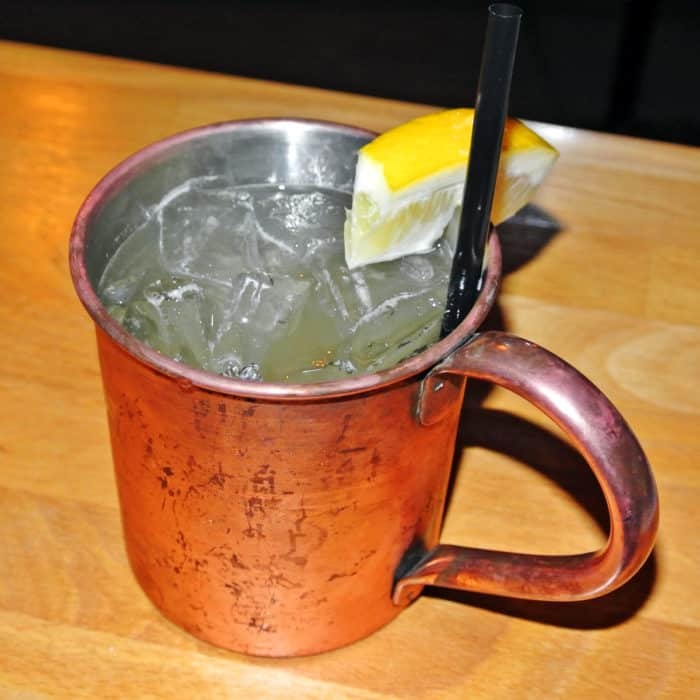 I began with a Rye Mule which was made with rye whiskey and ginger beer. It was a nicely balanced drink with both gingery and sweet notes and was great to drink along with our decidedly Brooklynized Italian meal. To begin the parade of dishes, we started with some sliced meat and cheese. We ordered some La Quercia Prosciutto Americano, which in my opinion is some the best and highest quality cured meat made domestically. It’s certainly as good as or better than the imported Italian stuff, but it’s lovingly made in Iowa. Along with the prosciutto, we had an excellent sheep’s milk cheese called Pepato that was studded with large crunchy black peppercorns. 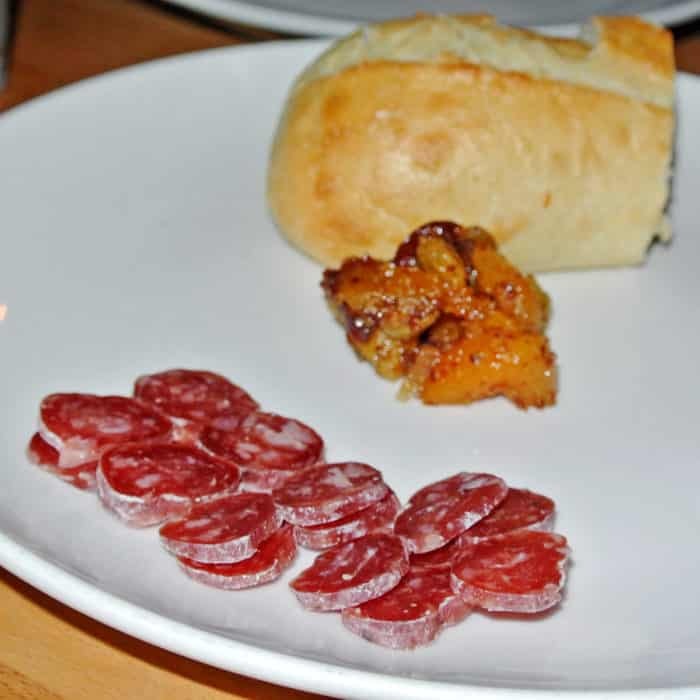 Both made for excellent bites to start the meal. 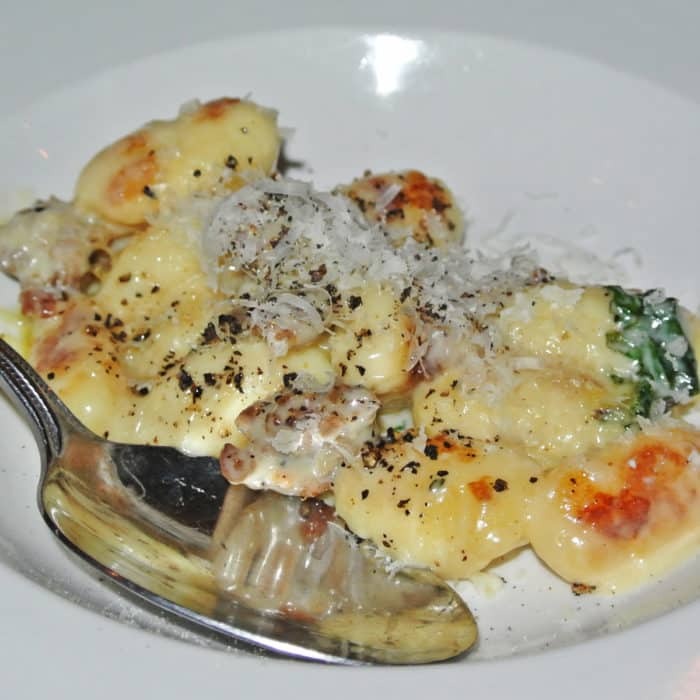 Next to come was the Gnocchi, which came highly recommended by a number of Foursquare tippers. I think this was some of the best gnocchi I’ve ever had. Every fluffy, potato-y, pillowy pasta bite was smothered in a rich, creamy, cheesy sauce and just the right amount of cracked black pepper. This dish was absolute perfection. Less tipped about, but equally as impressive was the Tagliatelle. 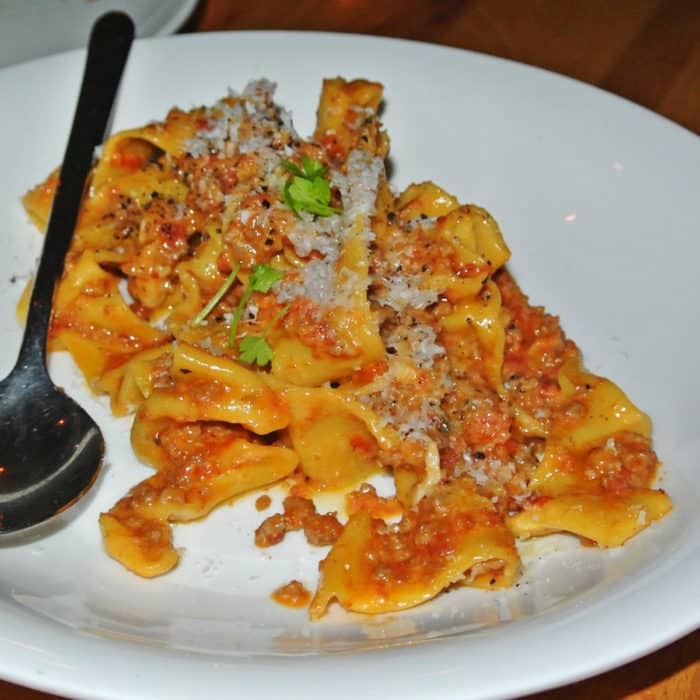 The long, wide, thick noodles were cooked to a perfect al dente consistency and were topped with a deliciously crumbly, meaty ragù sauce. This pasta had an all-around great texture and flavor and I’d strongly recommended it as well. 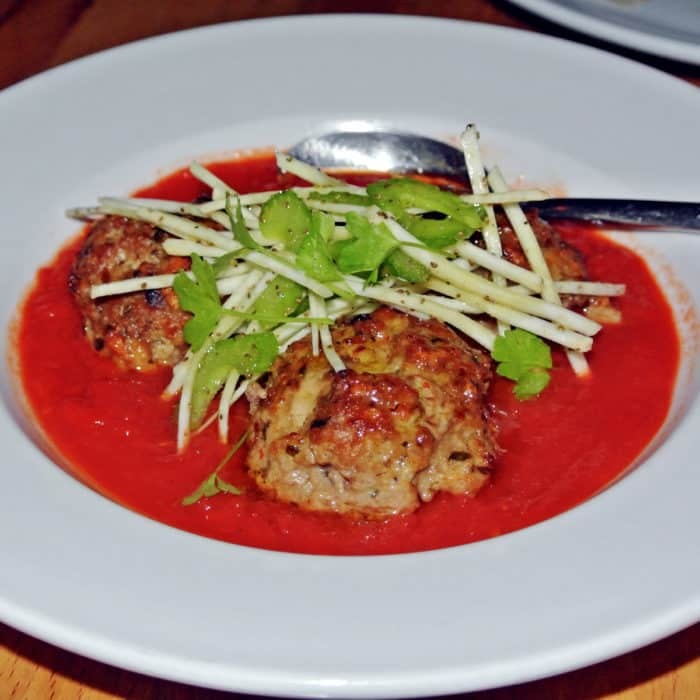 Additionally, we had Spicy Pork Meatballs as a third starter. I absolutely loved the texture of these huge softball-sized meatballs. They were moist and tender on the inside, crispy and browned on the outside, and the tomato sauce was bright and vibrant with bold, spicy, punches of heat. Finally, we arrived at the many pizzas we had as entrees. The first was the most traditional tasting of the bunch with a classic meat and cheese combination. It was done really well and the dough’s texture was particularly excellent with gorgeous charred spots all over the pizza’s surface. The TMNT was just a bit straight-forward for my taste this evening. 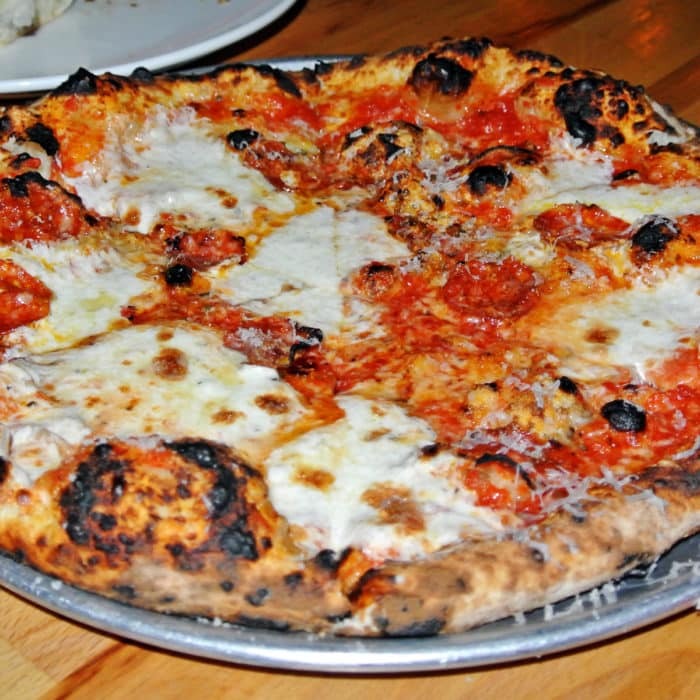 The second pie called Scottie 2 Hottie harkened directly back to its Roberta’s roots with an obvious nod to the famous Bee Sting pizza. 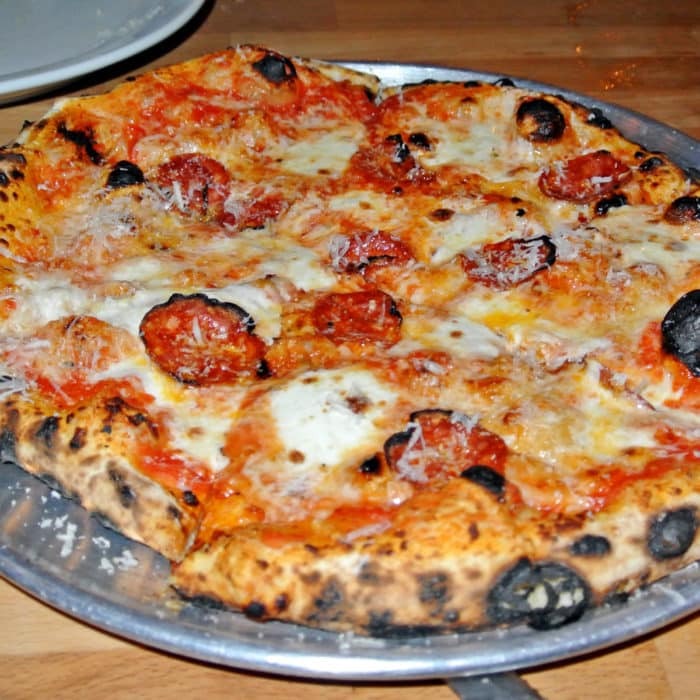 Just like the Bee Sting which utilizes spicy meats and sweet honey as toppings, this pie was topped with sliced soppressata, spicy pepperoncini oil, and local honey which added a strong sweetness to contrast the meaty heat. It was unsurprisingly awesome. That sweet and spicy combo was a definite winner. 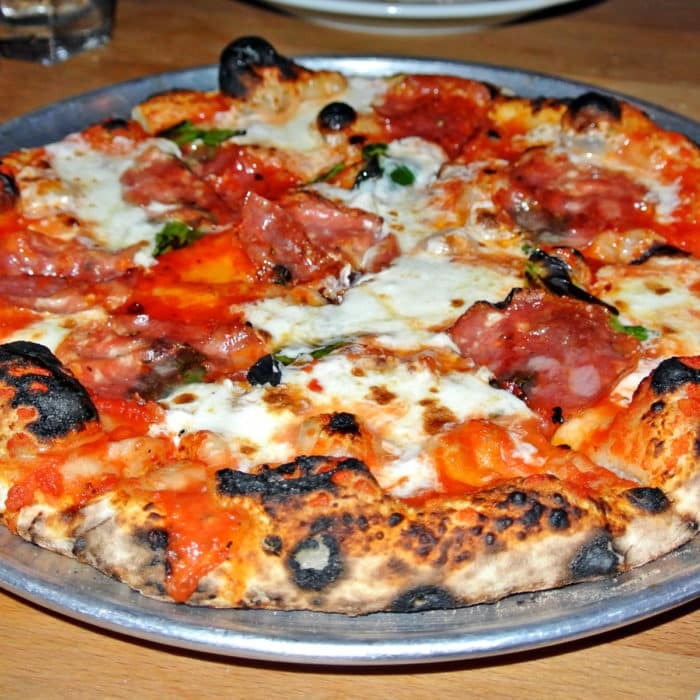 The third pizza, called Coach Goni, was pretty much a classic everything-but-the-kitchen-sink meat lovers pizza, done to absolute perfection. 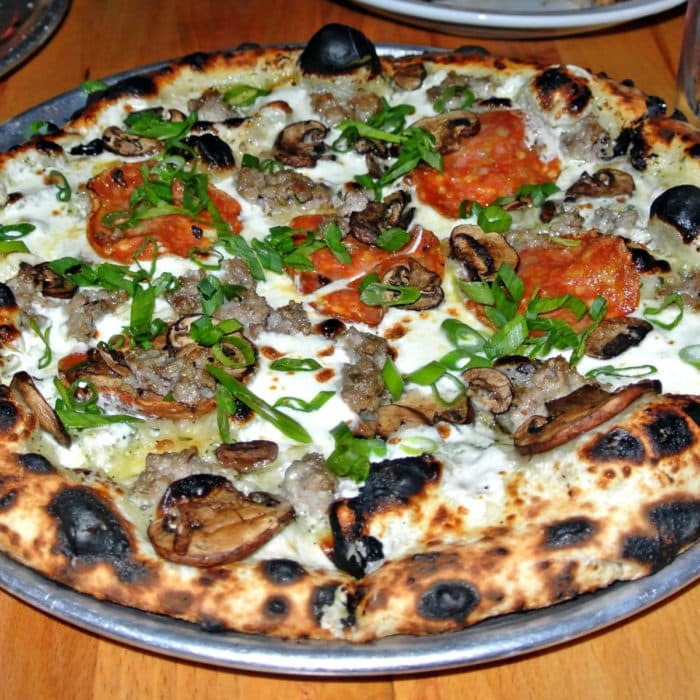 This pie was topped with mushrooms, calabrese salami, pork sausage, green onion, mozzarella, garlic, and ranch dressing. A ton, I know, but totally delicious. The pork sausage was probably my favorite topping of the bunch, but they all worked really well together in the scheme of this pie. And that’s where the meal ended that night but, we’re not done yet. I loved this restaurant so much that I returned a week later with different people to try new dishes and repeat some of my favorites once again. I began this second meal with a Barrel Aged Italian Manhattan made with Rittenhouse rye, Luxardo amaro, Campari, and Peychaud bitters. This was quite an excellent cocktail with strong, boozy, smokey notes from the rye and rich, sweet, and bitter notes from the Amaro, Campari, and bitters. This was another great drink. We started this meal with a different selection from sliced meat section, opting for something called Spicy Borsellino. 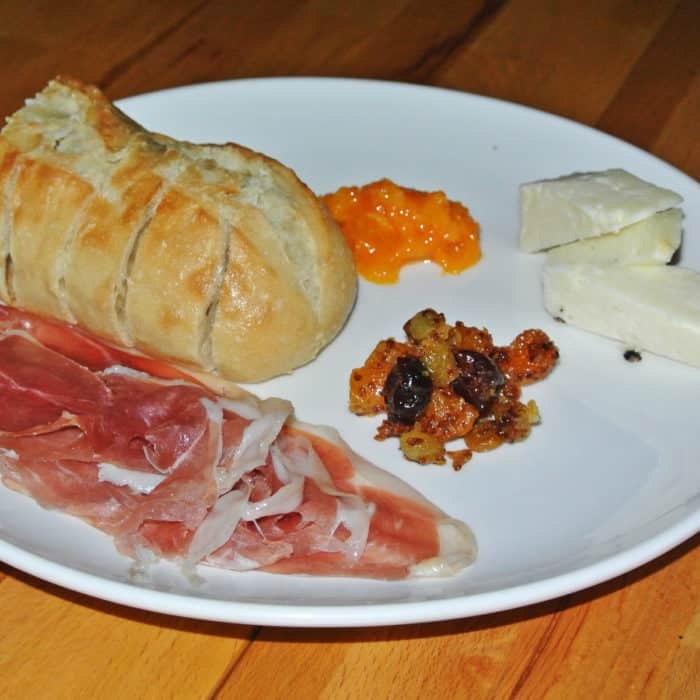 I don’t think there was too much noteworthy about this one, so I’d pass in favor of the Prosciutto Americano we had on the previous visit. 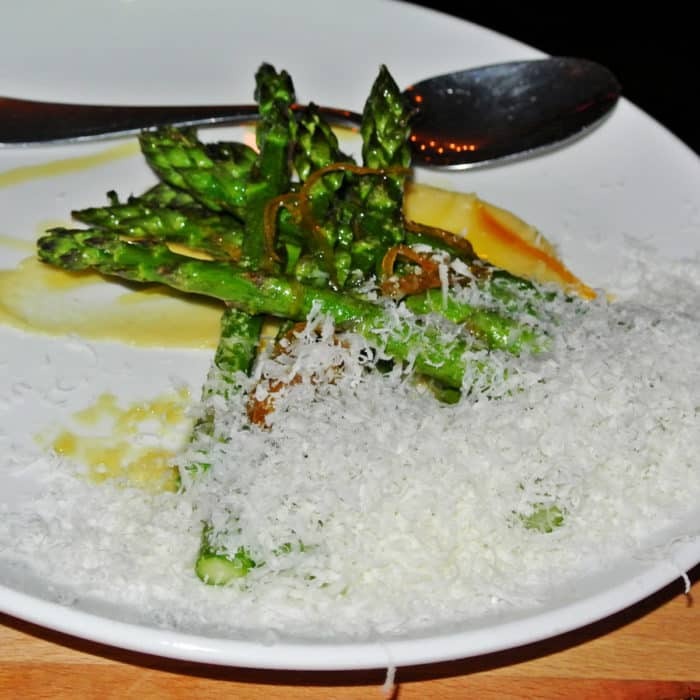 In a pretty unsuccessful attempt to get some healthy greens in our systems, we chose to start the meal with an order of Asparagus. These veggies were cooked really well. They were snappy, crisp, and tender but what really made the health part unsuccessful but utterly delicious was the excessive shaving of parmesan cheese and heavy-handed drizzle of celery root puree with a thick, citrusy sauce. It was certainly great, but not exactly the healthy pick we had intended. In a second attempt to get some healthy greens, we chose the Shaved Brussels Sprouts starter, but may have screwed the pooch even worse with this one. 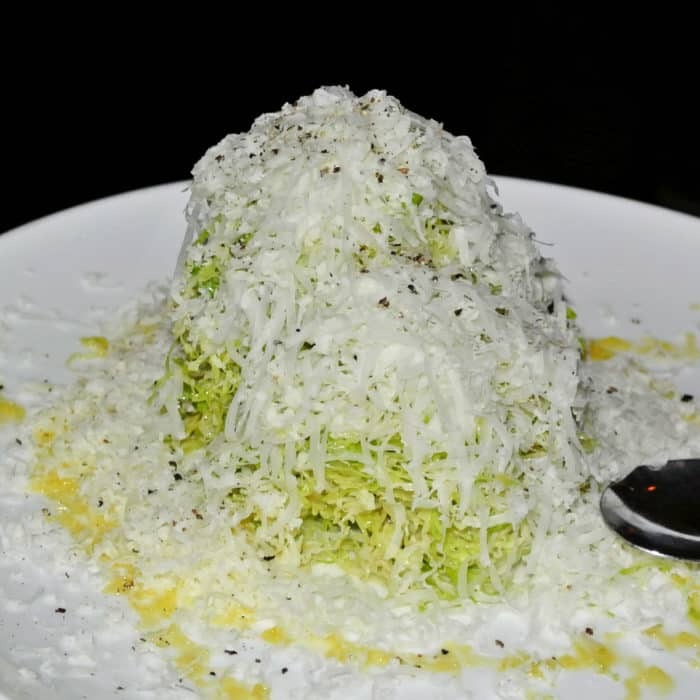 These raw Brussels sprouts were shaved thin into ribbon-like strands, served in a vibrant, vinegary citrus dressing and came topped with a rather excessive amount of shaved pecorino. Absolutely delicious once again, but also a flop on the healthy factor. 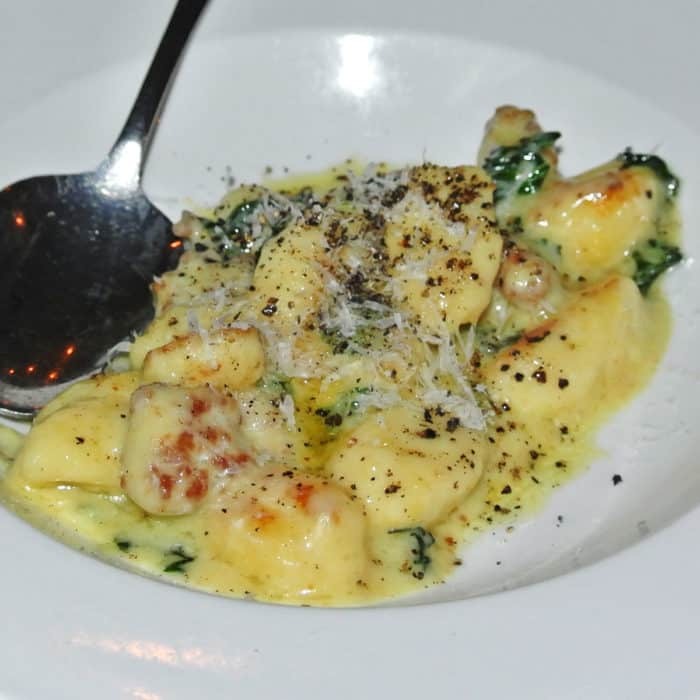 After that, I couldn’t resist getting a plate of those incredible Gnocchi once again. I know it looks like the same plate, but I promise this photo is of a completely new batch. Amazing once again, but I didn’t need to tell you that. On this visit, my dining partners wanted to get the TMNT again, which I was not super excited about on my first visit. But on this trip, I found it to be so much more exciting and flavorful. There was actually a pretty potent spiciness this time that kicked with every bite. There must have been a bolder batch of Salametto Piccante and a heavier hand with the red pepper flakes this time. We also repeated the Scotty 2 Hottie which was just as extraordinary as the first time. I won’t waste any more breath here besides insisting that you get this pie when you visit. And finally, we had the Young Cheesy as our third pie. 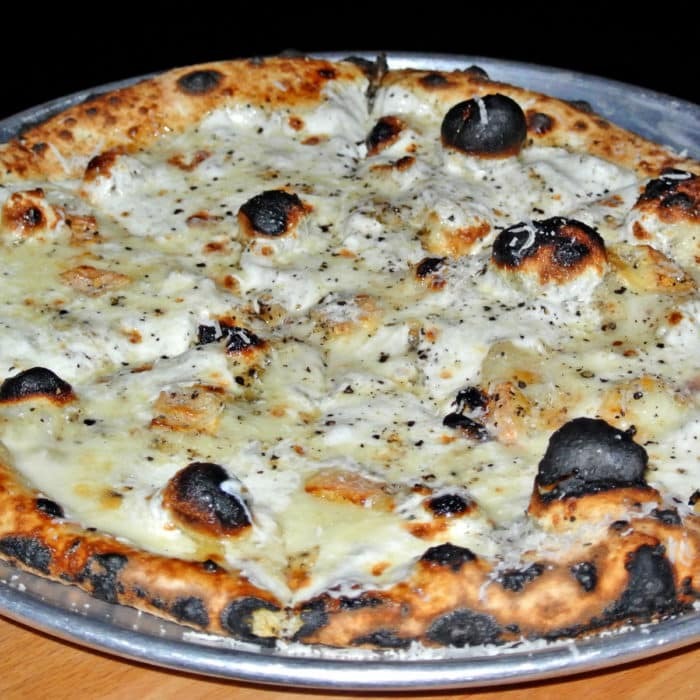 If I haven’t already made it abundantly clear on this blog, I love cheese so this pizza topped with mozzarella, taleggio, cream, parmigiano, and black peppercorns was a total knock out for me. It was rich, cheesy, and creamy with a punchy handful of black pepper bite. Definitely another winner. 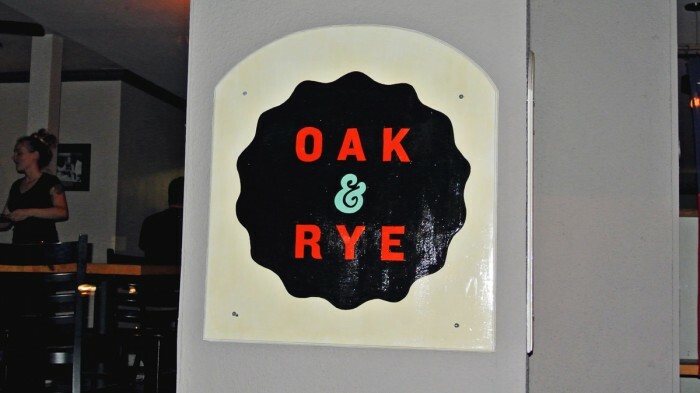 So, I feel like I don’t even need to tell you at this point, but if you’re a New Yorker trapped in Silicon Valley like I frequently am and are looking for a comforting taste of your New York home, head to Oak & Rye in Los Gatos. The food and cocktails were absolutely incredible both times and the comforting Brooklyn vibe made for a truly excellent experience. Got another spot in Silicon Valley for a guy missing his New York home? Let me know in the comments below.